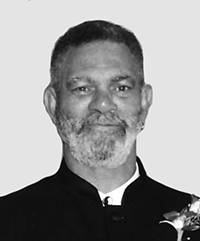 Augustus Funeral Home regrets to announce the passing of Mr. Ralph St. George Powell. A Home Going service for Mr. Ralph St. George Powell, beloved husband of Beverley Marceline Bernice [Somner] Powell, son of the late George and late Muriel [Robinson] Powell, loving father to Georgina, Darin [Kita], Justin [Donna] , Nneka [Steven], Alan [Divina], Shamika [Lamont], brother to Winston [late Winifred], Richard [Rev. Linda] and Steven [Juliette] in his 75th year of #15 Bulkhead Drive , Warwick , WK07 will be held at The First Church of God, North Shore Today, February 12, 2019 at 12:00 pm. Relatives and friends may pay their last respects at The First Church of God, North Shore Today, February 12, 2019 from 11:00 am – 11:55 am. Lovingly remembered by grandchildren: Antinique, Alnique, Justine, Jasiri, J’yindae, Iyanny, Irisanny, Jiriko, Destiny, Senzye, Elrica, Terica, Cal-lee; great grandchildren: Ka’shia, Kayden, Amira, Henysi, Asia, Lakaya, Kueindae, great great grandchild: Nazeim; mother-in-law: Florence Somner [late Warren “Bobby” Somner]; sisters-in-law: Rochelle Somner, TerryLynne Emery; nieces and nephews: Donna, Duvon, Danika, Chae, Tannisha, Robert, Dejuan; great nieces and nephews: Nhoaa, Milahn, Jai; special friends: Carvel Van Putten, Francis Tucker, Ernest Trott, David Hill, Burlington Furbert, Ralph [OG] Smith, Llewelyn Smith, Paul Hollis, Kirt [Dasher] Douglas and Harry O.